Five years ago Framlingham's last community copper Andrea Honeywood retired and was replaced by a Safer Neighbourhood Team. 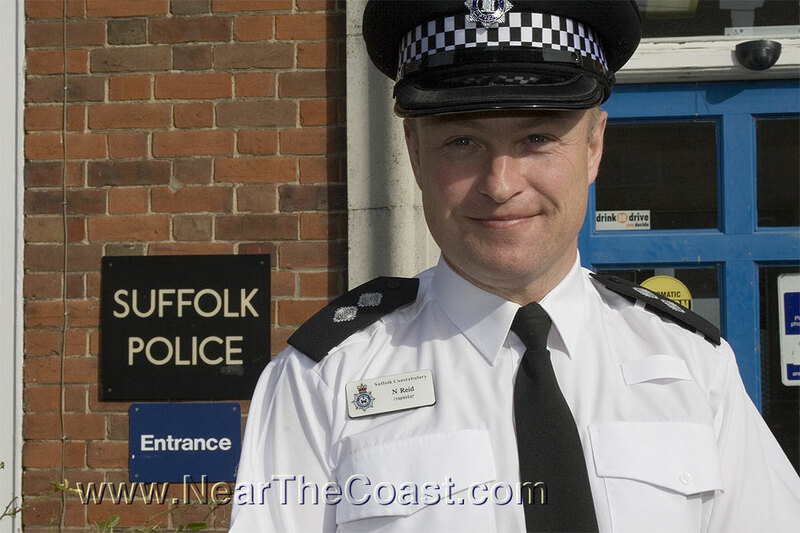 Nowadays the Fram SNT (and we bet most people still don't know what that means) has merged with Saxmundham and Aldeburgh and is commanded by a sergeant in Leiston ... he probably has a satnav. A Leiston Chinese takeaway was robbed last night by a man with a knife. A man of no fixed abode has been arrested in connection with the burst of burglaries this weekend in Leiston. Midnight fireworks at Leiston sports club tonight. Well that's healthy eating; parsnips, lettuce, cabbage and broad beans stolen in Leiston. 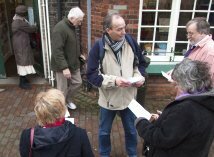 7:30pm at Sizewell sports and social tomorrow there's a public meeting about the proposed Leiston Tescos. Mobile phones pinched in Aldeburgh and Leiston. Leiston's Greener Garden Guy (he arrives on a bike with a trailer) now has his own facebook page. This Sunday morning you could listen to Radio Stradbroke's Sunday Best with your mummy then take her to see the bunnies in Dennington in the afternoon and polish off a perfect day at Leiston cinema with Tribute to Buddy Holly. Only nearthecoast: You're asleep in Leiston and at 2:40am a neighbour gets you up to say your washing's on fire. 7:30 tonight Suffolk's Got More Talent at the Leiston Cinema ... no, we've never been there but it sounds a bit like the Harwich Electric Palace. Braving the cold, and it was cold outside Leiston Library this morning, Steve Smedley was leafleting borrowers to remind them about next Saturday's demo outside the library and that unless something gets sorted the library along with another 28 including Aldeburgh, Debenham, Framlingham, Saxmundham, Stradbroke and Wickham Market will close. 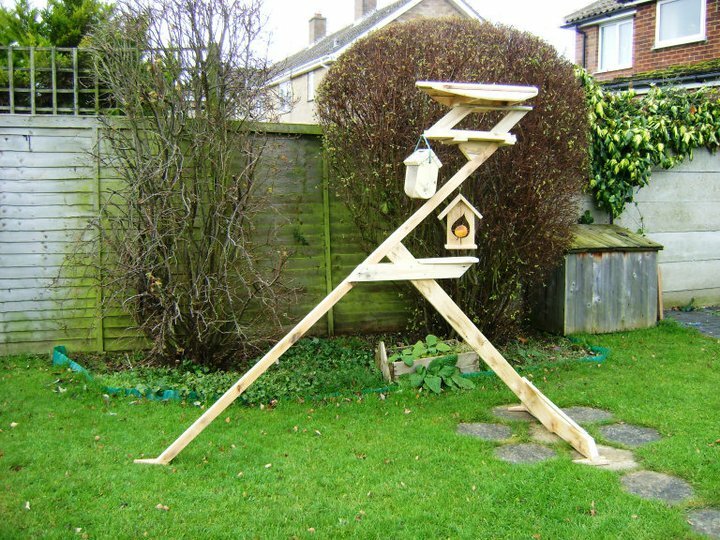 Wearing a different hat (it suits him) Leiston's Greener Garden Guy is recycling soft pallet wood to produce some amazing bird tables. 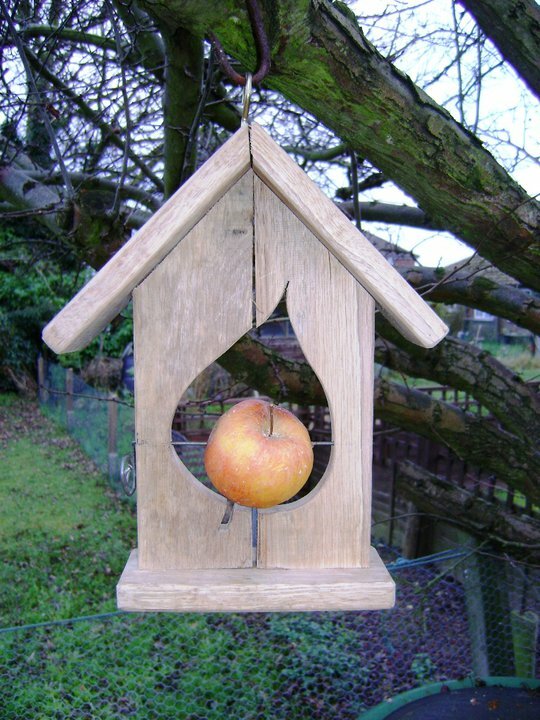 We particularly like the apple/fat ball feeder with a re-used bicycle spoke as the mounting. Three teenagers arrested after a burglary at Leiston High school last night. Armed robbery in Leiston late yesterday afternoon. Part time but permanent job caring for a disabled person in Leiston. Local weather (there's nothing for you here) on Ipswich ... Leiston, Lowestoft, Orford, Southwold ... and Lotus. A case of 50 cds pinched in Leiston last night. Skimmers found this morning on cashpoints in Framlingham, Leiston and Aldeburgh ... so that's why a police car outside Barclays this am ... or not. It's FREE Leiston Day at the Long Shop Museum this Sunday. Four burglaries Tuesday night in Leiston. A man has been charged with yesterday's attempted Leiston bank robbery. Attempted bank robbery in Leiston this morning. Thanks to Trevor Moore for attractive graphic evidence that like just about everywhere ntc Leiston is well snowed on. 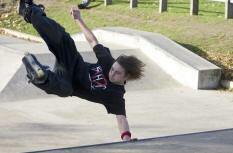 When you're 23 of course you're going to live for ever ... except ... fatal collision in Leiston. 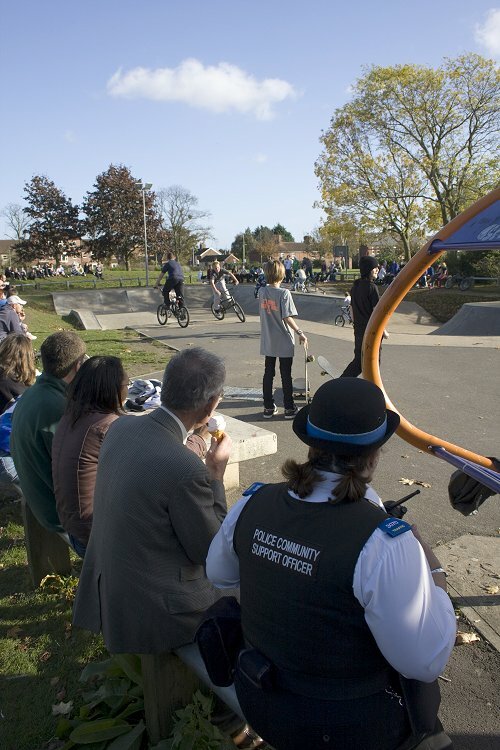 Skaters and bmxers from mostly Saxmundham but Leiston as well (the young we assume Leiston person who asked us to sign the petition said he didn't really approve of Sax but was making an exception for the skatepark) and as far away as Beccles (Beccles' Smash Skate were sponsoring the day) gathered for a shoot out (or whatever you do on wheels) at Leiston Skatepark (which looks very well used) to raise money for the proposed (on that field by the A12 where the scouts hold boot sales) Sax Skatepark. Serviced by a barbeque and an ice cream van there was the obligatory but good humoured teenage derision to the inevitable bailouts but some stunting did draw genuine applause. 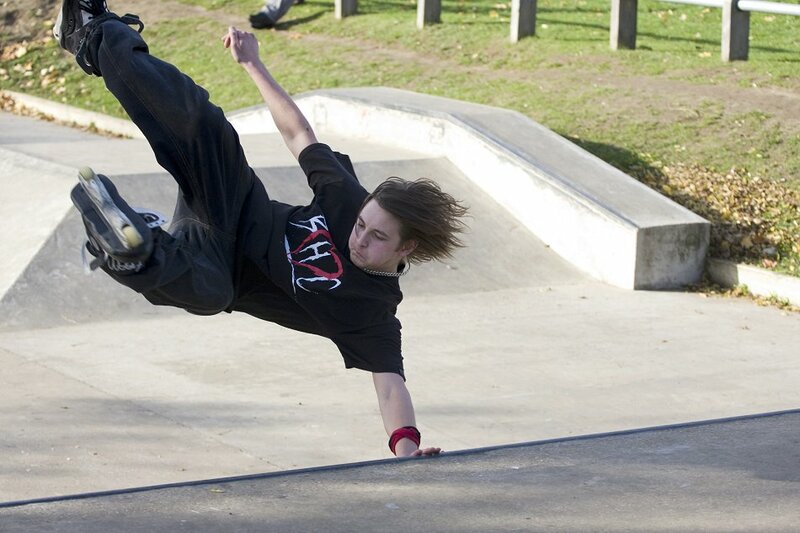 We really hope we'll be snapping another skate park opening soon, we enjoyed the last one. 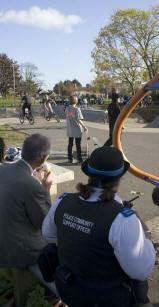 For more info try PCSO Thora Taylor. 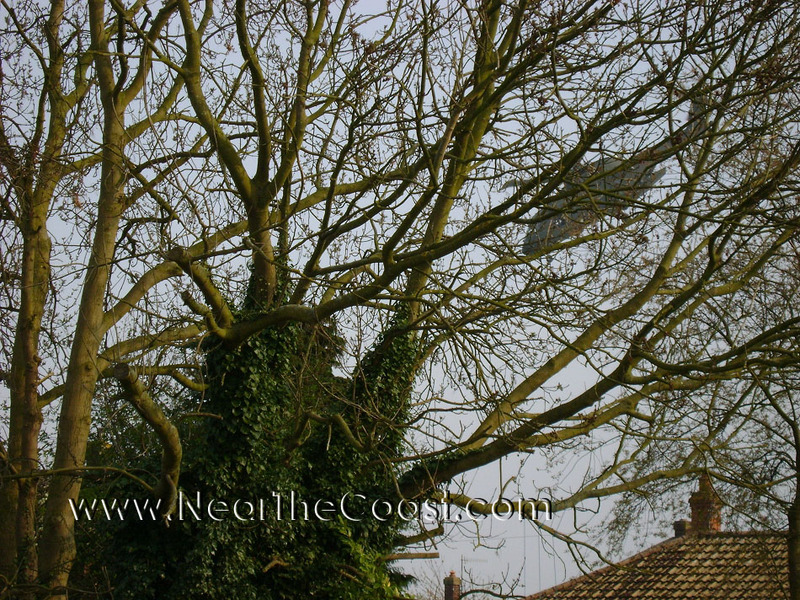 A large(ish) helicopter taking off from the Sizewell Social Club's sports field yesterday, don't know why? We're told the club is maybe more Leiston than Sizewell. Though the police are not treating the sudden death of 16 year old Makiebien Stappard in Leiston last month as suspicious they are having difficulty establishing his movements earlier in the day. Charity shops are getting pretty picky about what they'll take these days but until Saturday the St Elizabeth Hospice has an amnesty on odd, broken or scrap jewellery at their ten shops including Felixstowe, Ipswich, Leiston, Sax and Woodbridge. A 16 year old Leiston boy was found unconscious Saturday night and pronounced dead on arrival at hospital. Police are treating his death as unexplained. The police want to contact the driver of a silver is there any other kind? Mercedes who stopped to let a police car through in Leiston Saturday afternoon. The snow has pretty much gone now but it certainly snowed yesterday in Framsden, Hacheston, Leiston and Fram. This is Inspector Neil Reid nobly wearing his hat because we asked him to. Neil is now stationed at Leiston and newly commands the Aldeburgh, Framlingham, Leiston and Saxmundham Safer Neighbourhood Teams ... and he cycled to work today. 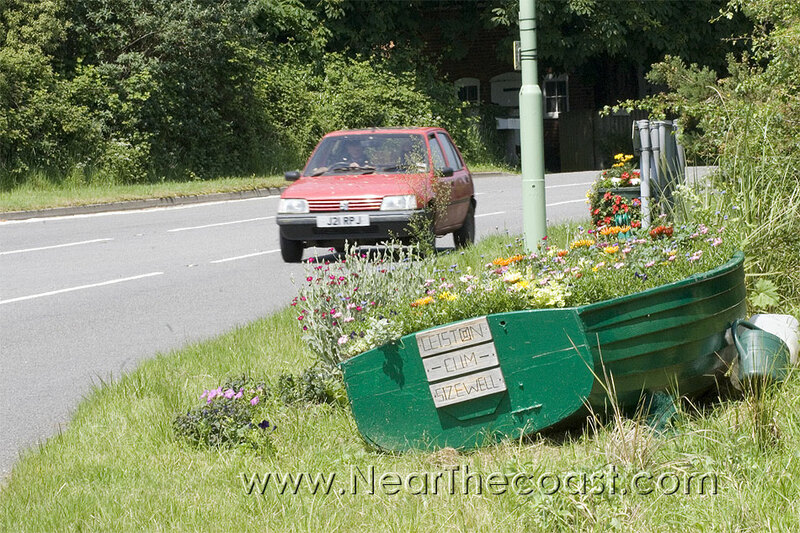 We noticed earlier this summer that this t-junction between Leiston and Sizewell not only had an attractive tub of flowers but a whole boatful too! 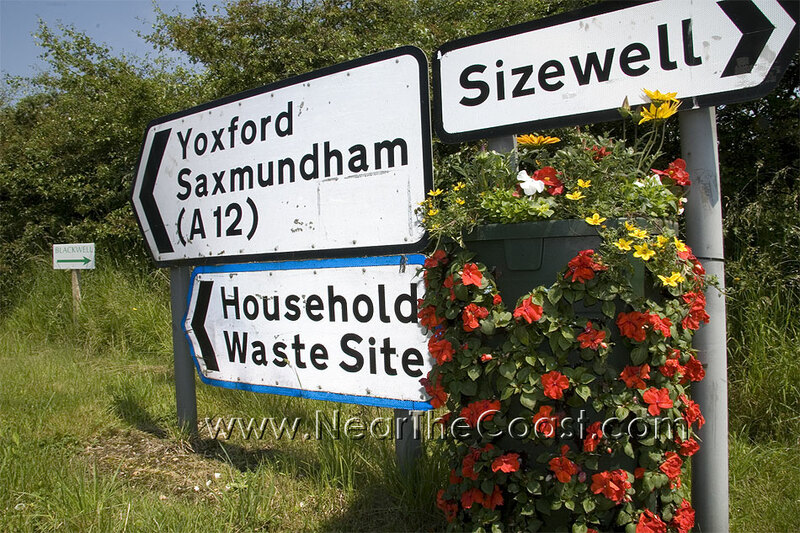 Then yesterday we saw that entering Leiston from Theberton there's a tub of flowers and the south entrance to Saxmundham has a tub and a hanging basket. Let's hope this charming idea spreads.